Home » BlackPaint » Pictures » Made up dude returns! HE RETURNS! But now he has a name! 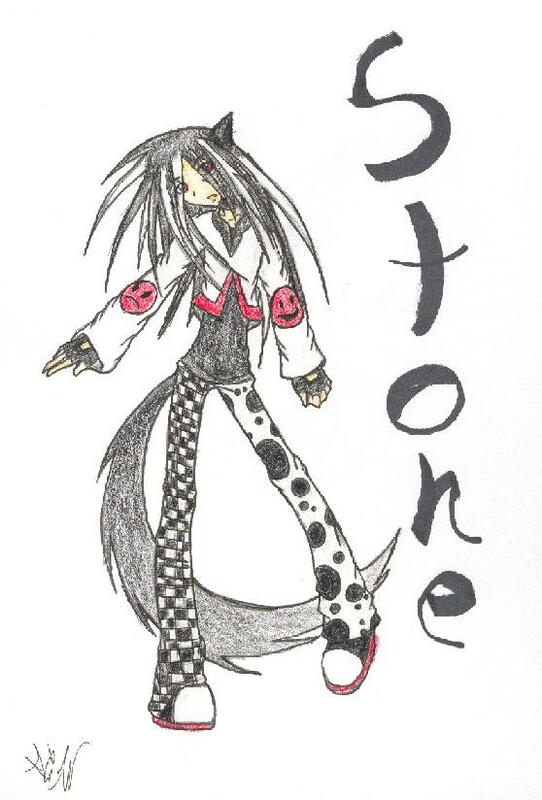 Yes...his name is officially Stone. I so want his pants.... Oh yeah, that thing poking out of his hair is a HORN not an EAR. He has pinted ears under his hair. He's a chimera, he was once a human, but he was fused with a whole bunch of different animals. Does anyone like the song "Unskinny Bop" by Poison? Its SO the best 80's song EVER. Well....ummm....anyways.... PLEASE COMMENT! Looks great! I love it Fav. his outfit is so sweet. i want it * steals his clothes and runs* haha he naked now. Lol I could picture this as you Sara. Well except the hair would be a lot shorter. I haven't even seen any of your pictures in a LONG time. Looks like you have added some new ones though.